Wellness is a Rising Trend in Luxury Real Estate. Here are 5 Ways to Boost Well-Being In Your Own Home. 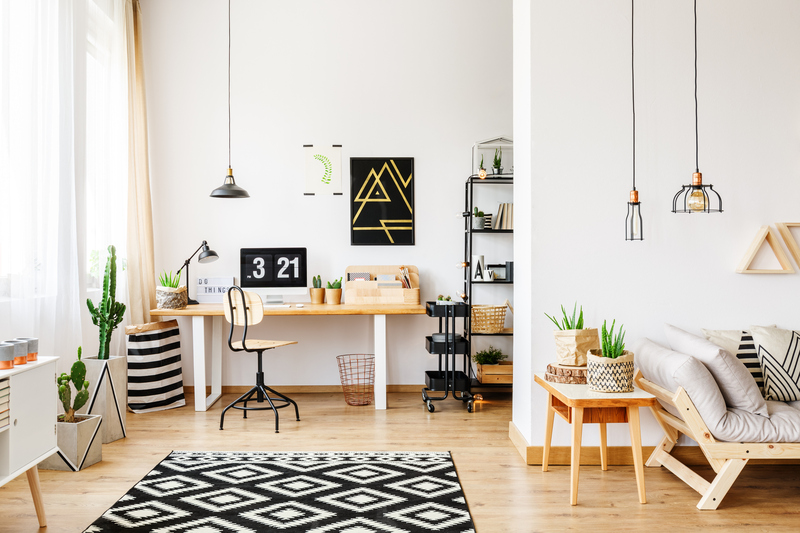 Celebrities and A-List tenants are snapping up properties with well-being built in—but there are affordable ways to create similar benefits in your own home. Ariana Grande and Pete Davidson recently moved into a posh Chelsea condo, where tenants can enjoy the building’s “wellness level,” complete with a juice bar, a private spa suite, and a steam room. Citizen360, a similar upscale condominium complex on the Upper East Side, offers yoga rooms and infrared saunas as amenities. Other posh buildings boast “living green walls” and waterfalls. You don’t need to entirely renovate your home in order to incorporate wellness into your life. Small details can make a huge difference. If you work from home, set reminders to stand up and take a walk every few hours. If you can’t always make it to the gym, keep small fitness-related items around, like a yoga mat or resistance band. If you need a boost of motivation, print out mantras to hang up around your home that encourage active living, deep breathing, and mental clarity. A little quote-ivation on your wall can go a long way. Natural light streaming through your window in the morning. Flickering candles at the dinner table. Dimmed lighting before bedtime. The light in your home sets the tone throughout your day, and can affect your sleep, mood, and overall well-being. For example, we know that putting away sources of blue light before bed can encourage healthy sleep habits. By optimizing your lighting to accommodate different moods and activities you can sleep better, live better, and feel better. One easy step: install multiple, dimmable floor lamps rather than one bright ceiling light in your living room. And a dimmer in your bathroom to help you unwind while you’re getting ready for bed. Plants can help clear the air in your home of chemicals from plastics, paints and cleaners, NASA research has found. Even a few plants around a room will add to an airy, organic aesthetic, and help you reap the calming benefits of connecting with nature. Bring the outside in with a mini vertical garden — hang several shelves and fill then with lush, drapey potted plant varieties such as philodendron and English ivy. Preparing dinner can often feel more like a chore than a relaxing activity, but by getting the family (or roommates, or friends) involved, your kitchen can be a space for enjoyable nights and healthy habits. You don’t need an organic juice bar in your home to create a space of wellness. By simply stocking the fridge with fresh ingredients rather than packaged ones, and getting your loved ones together for conversation and cooking, you can turn your kitchen into a space that boosts both emotional and physical well-being. No juice barista required. Studies show that citrus scents like lemon, orange and bergamot can lower anxiety — and that lavender induces calmer brain waves. Diffusers that mist the air with essential oils are a good option to incorporate these healing scents into your decor.